Shi Yi has reported on the environment for Thepaper.cn since its launch in 2014, covering topics such as biodiversity and climate change. Since 2016 she has written for its English-language site Sixth Tone, also owned by the Shanghai United Media Group. Kalamely Nature Reserve in Xinjiang has been repeatedly diminished to allow for mining, putting rare wildlife at risk. Thepaper.cn journalist Shi Yi filed a series of reports on this, bringing the case to the attention of central government. A subsequent memo from Xi Jinping resulted in an undercover visit by Party Central Committee investigators, as well as a public visit by Zhang Chunxian, Xinjiang Party Secretary, during which plans for the most recent reduction of the reserve were halted. At the end of 2015 the plans were scrapped for good. This, and other outstanding reports by Shi Yi, won her the Journalist of the Year award. In the southern Africa country of Namibia she investigated the illegal trade in ivory, posing as a buyer to make contact with traders of illegal animal products. On publication of her report local police raided an illegal marketplace. Such reports bolster the international fight against poaching and demonstrate China’s increased awareness of her international responsibilities. For her outstanding work in 2015, the Journalist of the Year Award goes to Shi Yi. Li Xianfeng is chief reporter at the Beijing Youth Daily’s investigative desk. He previously worked at the Beijing Morning Post and the Beijing Times and reports on the environment and legal and social issues. Li’s exclusive interview with the source was key to picking up mainstream media interest, which triggered rapid interventions by the Ministry of Environmental Protection, the Ministry of Public Security and the Supreme People’s Procuratorate, and 4,000 barrels of hazardous waste being removed. This is a fine example of reporting in the public interest, and Li is therefore awarded the Most Influential Report award. Yan Xiaowang at Energy Magazine became a journalist a year ago, after three years of working in public relations. Surplus power generation is a sensitive topic in the environmental sector, along with “dams” and “PM2.5” – it brings to mind protests and ‘NIMBY’ activism. For the industry, “the ideal solution for dealing with urban waste is to incinerate it and produce and electricity.” But as China becomes greener it must discriminate carefully between its different options. The environmental press has often written about local protests against waste-to-power plants, but it is rarer to see an in-depth investigation into the industry as a whole. Energy Magazine’s Yan Xiaowei gained access to a number of such plants and revealed the shady interests and unwritten rules at work. A number of Beijing News reporters were on the scene of the Tianjin explosions the night it struck, August 12, 2015, and their numbers only increased. This was a perfect example of teamwork, something that Beijing News has plenty of experience coordinating. Dozens of reporters on the frontlines coordinate with dozens of editors back at the office to produced one exclusive and in-depth report after another. Among these reporters were those in charge of coordination, investigative journalists, and beat reporters answering the phones, some of them with decades of newsroom experience, some newcomers with only a few months under their belts. The explosion at a hazardous chemical warehouse in Tianjin was one of the biggest stories of 2015. 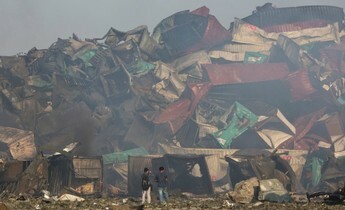 Beijing News journalist Tu Zhonghang and his colleagues rushed to the scene and within a week had produced six investigative reports, revealing the types of chemicals involved, the cause of the explosion, who was responsible, related environmental impacts and safety assessments for the site and problems with local regulations – including a scoop on the risk of 700 tonnes of sodium cyanide leaking. Their reporting was both rapid and in-depth, setting a new example for the industry. Liu Xing is a former investigative journalist with China Youth Daily. Li Yijie joined China Youth Daily in July 2013 and is now a journalist on the in-depth investigation desk covering legal issues, current affairs and society. He Linlin joined China Youth Daily in July 2015 and is now a journalist on the in-depth investigation desk covering the environment and society. 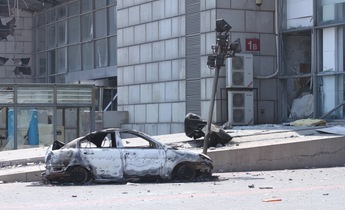 After the Tianjin explosion Liu, He and Liu travelled to, respectively, the port cities of Shanghai, Qingdao and Ningbo. Their investigations were compiled by He Linlin into a series of articles examining safety zoning for chemical storage facilities, and how companies handling such materials operate overseas. Liu Xing was in charge of overall planning and coordination. During a month-long investigation they found many hazardous sites were within 1,000 metres of residential buildings, in breach of a safety rule – meaning another major chemical explosion could potentially occur at other ports. This major risk has consistently been overlooked. The paper also investigated the reasons the rule had not been obeyed and made constructive suggestions for change. The paper’s work fulfils the responsibility Pulitzer spoke of: “A journalist is the lookout on the bridge of the ship of state… He peers through fog and storm to give warning of dangers ahead." A self-proclaimed environmental fanatic, Hong Wu, was inspired by the victims of pollution to give up his high-paying executive job and become an activist. In the Weibo era, Hong Wu @湘潭小武哥 managed forty or fifty accounts, and has made almost 10,000 posts from his main account. Now in the days of Weixin he is still playing to his strengths, managing several public Weixin accounts. But more importantly he remains on the side of the public, reporting and advocating on the environment to help solve problems. In 2014 Chen Jie quit as photography editor at the Beijing News and returned to frontline photojournalism. His unusual choice proved to be a boon for environmental protection that year, and an inspiration to colleagues feeling waning passion for their profession. In 2014 he completed a series of seven pieces on the environment. One of these, Death of the Desert, an exclusive on Tengger desert pollution, prompted Chinese president Xi Jinping to issue three separate memos, with the State Council forming an investigation team resulting in dozens of officials in Inner Mongolia losing their jobs or being punished. The case was also mentioned in the March 2015 work report of the National People’s Political Consultative Conference. Chen’s work in 2014 showed the value of a journalist’s work: you won’t earn much, but you can change the world. In her second year since graduating from journalism school, three of Kong Lingyu’s environmental reports appeared on the cover of Caixin Weekly, with Pollution in Plain Sight enjoying particular prominence. After the exposure of pollution in the Tengger desert, Kong and her editor took a closer look at its causes. She spent two months visiting over 30 evaporation pits across three provinces and exposing the underlying logic – that environmental capacity in the west of China does not allow for pollution, the subsequent emergence of the ‘zero pollution’ myth, and the use of evaporation pits as a ‘zero-pollution’ technique to make company emissions appear legal. The article led to a Ministry of Environmental Protection investigation, reorganisations and reforms in local government, and, ultimately, banning of evaporation pits. Kong’s far-sighted piece, The Hidden Source of Smog, demonstrated for the first time that if smog is to be controlled, reducing industrial pollution will not be enough – agricultural emissions of ammonia will also have to be cut. And so, as a child of the 90s, Kong Lingyu is wholly worthy of the Young Journalist of the Year award. The government of Yanyuan county in Sichuan planned to introduce motorboats on Lugu lake to help tourism – but the locals aren’t convinced. Sichuan Daily reporter Zhong Meilan visited to find out why the government wanted the new boats, whether they would cause pollution, what the locals thought, and if the boats would damage the local Mosuo culture. The Sichuan Daily is the most authoritative of the province’s official news outlets, and its sustained coverage and investigations, along with simultaneous publication across both new and traditional media, created wave after wave of public comment. The Yanyuan government was forced to shelve its plans. Thanks to outstanding journalism, the environment of Lugu Lake and the rights of vulnerable locals were protected. For this reason, Zhong Meilan and the Sichuan Daily win the Public Service Award. Why does a hugely controversial petrochemical zone have to be built in Pengzhou, Sichuan? Liu Yiman spent five years following this case and carrying out over one hundred interviews. She found ample evidence that the local government and the China National Petroleum Corporation had ignored the actual circumstances and the environmental interests of the public and treated the environmental impact assessment process as a battle to be won – and ultimately got their ‘win-win’ outcome. She then used that case to reveal the root causes of problems in China’s environmental impact assessment procedures. Its huge impact meant the article was repeatedly deleted when reposted online – but, amusingly enough, the public put it back up just as constantly. The facts it exposes remain true and must not be ignored. This was China’s first true new media report on climate change, and one of the most influential of all climate change stories. Climate change is a ‘lofty’ subject, one not easily connected to everyday lives of people. But this set of reports covered migration issues arising from climate change in Xihaigu in Ningxia, using pictures, video, audio, text and statistics. The audience did not just read about climate change – they saw it, they heard it, and they felt it. Climate change stopped being a theoretical issue and became vivid: a story of people and their pain and their fate, told with images, with sounds, with flavour and warmth. So this new award, for the best climate report, goes to Shi Yi, Xu Xiaolin and their colleagues at Thepaper.cn, for Climate Migrants. The people of Fujian were once regarded as uninterested in protecting the environment and not up to the task of fighting environmental damage. This group have ended that prejudice. It’s often said it was a convergence of factors that led to the 2007 opposition to the PX plant in Xiamen; but for these powerless farmers, teachers and workers, what they’ve been able to do in the face of billion-yuan projects, shielded by the Party and government apparatus, is strive to expose what is going on, file lawsuits, attend public hearings and turn to media for exposure. The pressure they’ve faced during the process is hard to imagine for those not there to experience it. But their focus, toughness and wisdom never fail to impress onlookers. Wang Tao ranks amongst the best in the new generation of environmental journalists. She reported extensively on air pollution throughout 2013 and her treatment of a diverse range of topics - smog, health hazards, the new air pollution plan, regional smog governance - was forceful, sharp and timely. Her article ‘Jiangnan’s Haze Challenge' analysed the root causes of local haze incidents; 'Regional Smog Governance: Lost on Journey' described some of the gritty and nuanced situations local governments face in their handling of smog issues; 'The Taste of Air in China's Two Parliamentary Sessions' examined the tension between public concern over air pollution and the political response. Her unique approach stood out in the coverage of China´s 2013 parliamentary sessions. For several years Wang Chusheng has tirelessly reported on local environmental pollution. He has also successfully engaged in legal action to obtain environmental information from large companies including Lianmeng Chemical, Junan Special Steel and Chenming Paper. This year’s award goes to both Liu Hongqiao and the entire environmental health team at Caixin. From 2011, Caixin has persistently laid bare the alarming story behind cadmium pollution. Liu Hongqiao's article on cadmium pollution powerfully combines traditional investigative journalism and environmental science reporting. The report employs concise yet lively language to impress on the reader the pain suffered by the victims of environmental cadmium pollution. At the same time, relying on thorough investigation, the report succeeds in exposing the full range of damage caused by cadmium on both the environment and human health. From peak to trough: China's green energy industry went bust in 2012. In early 2013 Xie Dan interviewed more than 30 entrepreneurs, local government officials, policy makers and academics to painstakingly reconstruct the events leading up to the collapse and to explain how missed opportunities forced a large number of loss-making enterprises out of business. Her article was the first systematic reassessment of green energy’s major crisis and caused a major stir within the industry. For a long time, it was unclear what had caused Shandong's groundwater pollution, despite rumours on Weibo that companies were discharging their wastewater underground. But in their half-month investigation, the New Finance journalists tracked down a deep well attached to a provincial key enterprise, which it used to discharge effluent underground. As well as highlighting the seriousness of the pollution, their investigation recommended setting up a "Superfund" to allow authorities to respond directly to releases of hazardous substances. A paper published in the journal Science warned that 19.5 million Chinese live in high-risk areas where the levels of arsenic in groundwater exceed regulations. Xuan Jinxue´s story about Wu Zhiqiang, a 47-year-old villager suffering from arsenic groundwater, succeeded in revealing the shocking and sorrowful truth hidden behind the statistic. His article, 'The Truth About Tap Water', was an unprecedented exposure of a major environmental truth: almost half of China’s urban tap water fails to meet standards. This report brought lasting public concern about drinking water quality and water pollution. Wu Zhu, an environmental activist from Wenzhou in Zhejiang, helped solve a number of issues through his reporting and intervention. Wu also covered the commercial exploitation of Yamdrok Lake in Tibet, local pollution in Wenzhou, and the Ningbo PX protests. He also participated in the creation of the “Ask the environmental bureau chief to swim” campaign which is currently sweeping the nation. Changsha Evening Post photojournalist Li Feng and reporter Yan Jiawen pretended to be hunters, purchasers and diners on eight separate visits to the bird hunting grounds deep in the Luoxiao mountains of Hunan, risking ricocheting bullets, attack by criminals and even snake bites to report on hunting on China’s second most important route for migratory birds. Liu Hongqiao, born in the 90s, may be one of China’s youngest environmental reporters. She graduated from Beijing Normal University two years ago, before starting work at New Century Weekly a year later. Liu assisted on an article entitled 'The Truth About Tap Water', which met with a huge response. Her article on the risk of huge dams in south-west China causing earthquakes, written during a wave of dam construction, analysed the dangers of dams in earthquake-prone areas setting off quakes, and called for caution. An excellent example of photographers, journalists, animal protection groups and editors all working together. 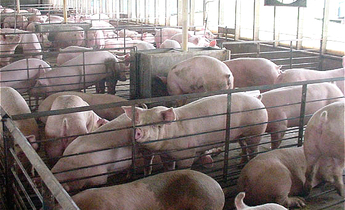 The journalists delved into every aspect of China’s trade in wild animal meat: restaurants, markets, hidden deals, the cruelty of slaughterhouses, the poaching from mountainsides and lakes, the transportation and cross-border smuggling, and even the reserve staff who trade in the animals they are meant to protect. Gao Shengke wrote about a polluted brownfield development site outside Beijing’s East Fifth Ring Road that would provide subsidised housing for civil servants. Gathering first-hand evidence through undercover visits, Gao tracked down the polluted soil and found how developers had ignored the need to decontaminate the land. This article revealed the damaging impact of human activity on the aquatic life of the Yangtze. Dam building on the upper and middle reaches of the river, pushed forward by interested parties, is only worsening the situation. The dam at Xiaonanhai is the most ruthless project yet – it damages the only fish reserve on the river, meaning the last refuge for the river’s rare fish will be destroyed. Feng Jie, 30, won her award for a series of articles covering offshore oil (the Bohai oil leak series); air pollution in cities (“Testing the air for the motherland”); and urban water shortages (“Water crisis in China’s northern cities: transfer or desalinate”). These touched on some of China’s key environmental challenges. Feng Jie’s great achievement of 2011 was her series of reports on the Bohai Gulf oil spill, which was covered up for nearly a month before Southern Weekend brought it to mainstream attention. 66-year-old Liu Futang came to public attention when he exposed the destruction of forests in Hainan province, southern China, using his microblog, which the awards committee said had as much influence as any newspaper could hope for. At the end of 2012, some months after he received his award from chinadialogue, Liu was arrested and tried for self-publishing books on environmental protection. He was found guilty in December and received a three-year suspended prison sentence and fine of 17,000-yuan. Gong Jing’s article on cadmium-contaminated rice attracted attention from across China, with responses from all levels of government. The issue was also a focus of discussion at the annual parliamentary sessions. Through his work, Gong, a reporter for Century Weekly, has raised awareness of soil pollution among politicians, academics and in the public sphere. The judges praised Gong for presenting clear evidence linking pollution to its public health impacts – a notoriously difficult challenge for journalists. Chromium pollution in Yunnan province was one of China’s most serious environmental incidents in 2011. But thanks to Feng Wei’s coverage in Yunnan Information Daily, the story was not covered up – unlike so many pollution cases in China. The local government eventually apologised, the contamination was swiftly dealt with and the polluters arrested. The judges praised the newspaper’s courage for reporting on the issue and said its exemplary behaviour had made a significant contribution to environmental protection in China. The middle and lower reaches of the Yangtze River suffered a terrible drought in 2011, affecting drinking water for more than four million people. These Time Weekly journalists produced a series of wide-ranging reports on the causes and impacts after visiting the provinces of Hubei, Hunan, Jiangxi and Jiangsu. The articles considered in depth the relationship between humans and natural water systems and were praised by the awards committee for demonstrating a sense of social responsibility and professionalism. Yang Xiaohong and Fang Qianhua, two journalists from Southern Metropolis Daily, accompanied a scientific expedition for more than a month in Tibet, from the southern slopes of the Himalayas to the north. They saw the fire-tailed sunbird, known as the world’s most beautiful bird; the elusive wolves of the high plateau; red gorals; and the majestic Cinereous Vulture. The awards committee felt that the two reporters had expanded the scope of environmental reporting in China. Almost every new species discovered on the Tibetan Plateau has rewritten the natural history books – these two reporters, the judges said, started a new chapter in nature reporting for the Chinese media. This exclusive and in-depth investigation into an alleged environmentally friendly way to make paper from stone garnered expressions of concern from both the National Development and Reform Commission and the Ministry of Industry and Information Technology. This piece won the Southern Weekend’s monthly news prize, and was described as one of the best investigations ever to appear in its environmental section: an exclusive story, a perceptive and insightful reporter, with iron-clad evidence exposing an environmental fraud. 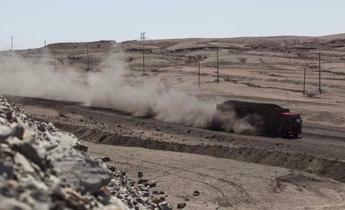 A follow-up report one month after the original accident, exposing the impact the Shangkeng mine had on the area’s villages, people and ecology. It also looked into the environmental problems with heap leaching, a cheap method of extracting gold from low quality ores, finding that it is not as safe as the mining firms claim. The most impressive aspect of this report is that it reports objectively on the causes of a tragedy without becoming overwrought. With a clear logical progression the article moves inevitably towards its conclusion. Geng Dong brings to life a Qinghai lama who both draws and protects the local birds - he has spotted and drawn 393 different species of birds. The article also demonstrates the power of traditional culture and local conservation efforts. This report takes an incisive look at bottlenecks in the photovoltaic (PV) solar sector and the problems caused by tens of billions of yuan in government subsidies. Its clear conclusions and exposure of industry truths make it unique among Chinese reports on the PV sector. There were many articles on waste incinerators published in 2009, but this one presented the facts behind those stories: pro-incineration experts being paid by business interests; universities and researchers producing reports to order; and links between those ‘experts’ and universities and the policy-makers. Lu Zhenhua and his editor have a strong understanding of China’s new energy sector and a good nose for a story – leading to this interesting and accessible piece on a wind-power investment rush and the resulting over-capacity. A huge factory producing 400,000 tonnes of nitrobenzene and 300,000 tonnes of aniline a year – the same substance that polluted the Songjiang River in 2004 –to be built on the banks of a river that hundreds of millions of Chinese people rely on for drinking water? An accident would be disastrous. Yang Chuanmin and her editor sounded the warning and helped stop it happen.